Now, let's repeat exhale and inhale. For people who study Ki breathing, please clearly understand the meaning of "Exhale naturally, breathe in naturally". Even if you can exhale and inhale comfortably, if you repeat them again and again, you may forget to coordinate mind and body and become one with the universe. If you exhale with oneness of mind and body, your inhale will come in naturally. This will leave you with the feeling that you are one with the universe. Many people misunderstand that and hold their breath intentionally between the exhale and inhale when practicing Ki Breathing. If you stop your breath by yourself, your body will tense. If you tense your body, it is difficult to breathe and you cannot continue it for a long time. If you control exhalation and hold your breath, air will not come in to you naturally. This is one of the reasons why many people feel "inhaling is more difficult than exhalation." You should not stop or pull Ki. Ki breathing means to exchange Ki with the Universe. By extending Ki, you can get Ki naturally. If you have trouble breathing, there is probably something incorrect with your breathing. In this case, you should not bear it. You should review your posture with oneness of mind and body. Then, return to the starting point. In addition to that, please check if you really exhale and inhale naturally using Ki tests. If you exhale and breathe in unnaturally, you will feel tension in your body. If you are tested, you will know your posture is unstable. Like your regular breathing, if you do not think about doing Ki breathing, this is the best. If you are tested at that moment, your posture will be stable. When you practice Ki breathing, please do not forget "exhale naturally, inhale naturally." When our body becomes tense, it is difficult to realize it. However, if we are tested, we will be able to know whether we are relaxed or tense. Gradually, you will be able to realize which part of your body is tense without being tested. When you think that you cannot do Ki breathing correctly, even when you try to relax completely, you may not be truly relaxed or your body may become tense unconsciously. Therefore, Ki testing is very important. "Mind moves body" Therefore, body will never become tense if mind is relaxed. If your body becomes tense during Ki breathing, your mind is doing something unnatural. An example is if you try to control your breath intentionally. It is important to understand that when your mind is calm and relaxed, that this will give your body more energy. There is a saying "Musoku no Kokyu (literally, breathing without breath)" when samurais fought with real swords. Breathing without breath does not mean an absence of breath. 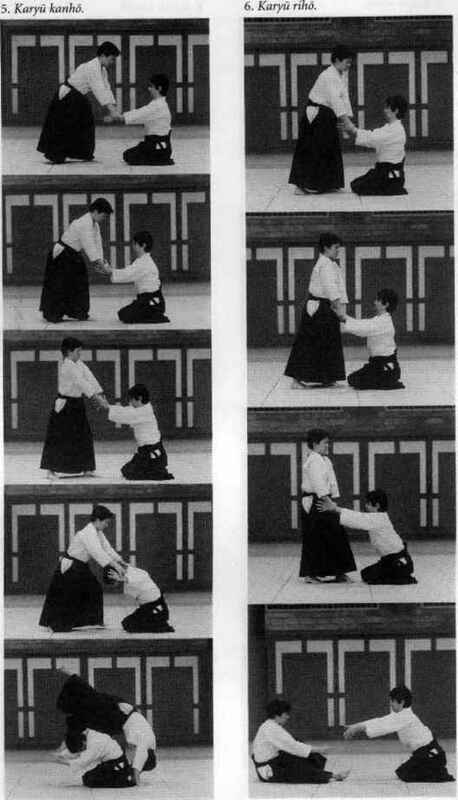 In days of old, when Samurai fought, if their opponent could read his breath, the opponent could also read his movement. Therefore, by calming the mind, Samurais had to master very calm breathing without visibly breathing. This is breathing without breath. Ki breathing is similar to this breathing. When I practice Ki Breathing, I exhale 50 to 60 seconds. It is not good for your health if you force your breath to be longer. Please understand well that if you relax completely, your breath becomes longer naturally. The purpose of Ki breathing is not to train lung capacity, but practice to relax. "Nagaiki (longevity)" means to breathe long in Japanese. It is natural that you will have a significant difference on your mental and physical health by doing Ki breathing. What is the mean of exhale and inhale?